If you’re frazzled—and who isn’t?—your children may be suffering, too. According to a new American Psychological Association (APA) study of more than 2,000 children and adults, 90 percent of kids say they know when their parents are stressed because they see them arguing and complaining, or because their parents won’t spend time with them. As a result, many of the kids reported they felt sad, worried, and frustrated. In fact, nearly a third of them complained of stress-related headaches or stomachaches. Yet the survey reports that nearly 70 percent of parents say their own anxiety barely affects their children. Given today’s economic instability, along with other pressures, how can parents address the effects of their stress on their children? Watch yourself. Simon Crabb, a dad who blogs about kids and stress, says “You have to check how you react when you feel anxious. 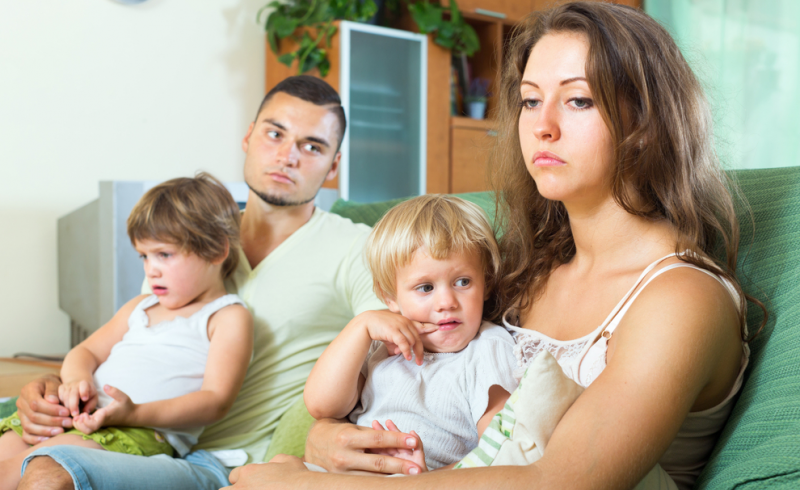 Your kids get these negative vibes from you, and it puts pressure on them. Anxiety is contagious.” In addition to making them nervous, you might be setting long-term behavioral patterns in motion that could harm their health, even putting them at higher risk of heart disease, diabetes and depression, says the APA. And play! Psychiatrist Stuart Brown, founder of the National Institute for Play in Carmel Valley, California, said in USA Today that “play is particularly important” for stressed-out parents today, who should find a way to have fun whenever they have a chance. Explore an activity that you and your kids both really love—other than a sedentary one (TV, video games and the Internet don’t count! )—and make a point to work it into your schedule. Your nervous system (and your kids) will thank you.